Holy jumping jack rabbits – Walmart has got into the group buying space through a new app on its Facebook Page called Crowdsaver. As if Walmart wasn’t already cheap enough, right? It’s actually a pretty well thought out model too – all Walmart is asking people to do is to “Like” its deals on Facebook. Once a deal gets to the required number of Likes, the deal is a go. With Walmart rapidly approaching 2 million Likers (or as they used to be called, Fans) on its Facebook Page, it can set the required number of Likes really high, knowing a) it will get there in no time b) all those Likes get it great exposure (and love) on Facebook. Of course, here’s the real kicker with Crowdsaver: you don’t have to be one of the people to that likes the deal to get the discount. Walmart launched its first deal on Monday afternoon: 18% off a $500 plasma TV with a wall mount bracket if the deal got 5,000 Likes – it took less than 24 hours to get there (oh, and the Wall message that announced that? Over 4,000 Likes and counting). The CrowdSaver price is only available if the required number of “like” votes is met. This threshold of required votes may vary for each CrowdSaver item. Each customer may only vote to “like” an item once. 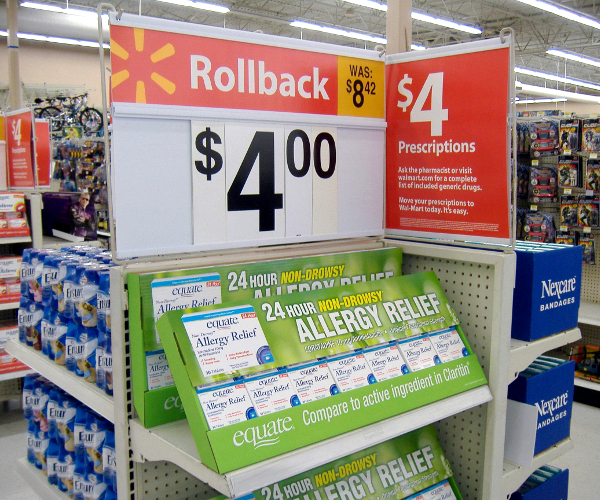 CrowdSaver prices are only available at Walmart.com. Each customer may purchase only one item at the CrowdSaver price while supplies last. The price is available until we sell out of the item online. Really, the only questions we have are a) how huge is this going to get (we’re guessing VERY) and b) how long until other major brands and retailers do the exact same thing (probably not long, it doesn’t take much to make a Facebook app). Brilliant move by Walmart, possibly bad news for Groupon (though probably not), and even better news for consumers, especially if Walmart and others offer things people want to buy. Read next: High-speed Internet a Basic Right in Canada?